Therefore™ Online SMB is a pre-configured information management, workflow and business analytics tool. This hosted Therefore™ system is prebuilt with six folders, twenty-one categories, all fully indexed and ready to use, five reports, and an e-form allowing companies to utilize their system according to their needs. 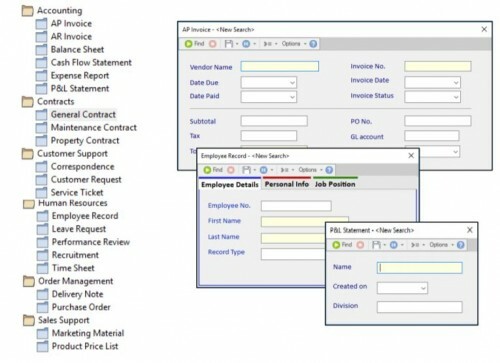 The solution covers common business functions such as, Accounting, Contracts, Customer Support, Human Resources, Order Management, and Sales Support. Each folder is also pre-configured with common sub categories, all set up with index fields, to make saving and ultimately searching for information as-easy-as 1-2-3!